Some of the important aspects to any good piece of music are contrast, overall ensemble sound, and melody. Not only has Mr. Berne created each of these things, he has done each in a very unique and different way, which is what makes this album so interesting. Part of what makes collective improvisation so hard is the tendency to play crazy; fast incoherent lines with no level of control from every member of the ensemble. Although some sections of the album may seem like this type of playing, they are always balanced out by some sort of quiet section to create dynamic contrast (not to mention the fact that each of these “crazy” sections are very intricately designed and every member of the ensemble demonstrates precise control over their instruments at all times). Also, within the louder sections of the album Berne will contrast different pieces of the ensemble against each other. An example of this can be found in the collective improvisation section of False Impressions where the band displays a unison melody portrayed by the Saxophone, Bass Clarinet, and Piano contrasted against the indistinct improvisation and distortion of the guitar along with the strategic cymbal work of the drummer. This technique is part of what makes the ensemble sound of Berne’s Snakeoil so interesting. The band constantly interacts in new and interesting ways culminating in a beautiful overall sound. One of the basic ideas in jazz music is that if you remove members of the band and allow smaller cells within the band to improvise they interact in new ways that make the music much more intriguing. 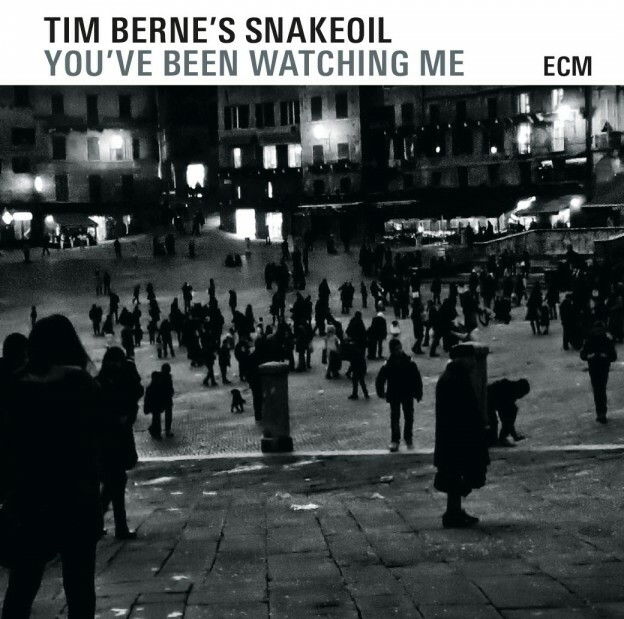 Tim Berne has truly mastered this technique and it is seen all over the place. Most of the songs on the album start with the whole band playing but this ends quickly and Berne allows Sax and Piano to interact or bass clarinet and percussion to have their moment and he even leaves space for individuals to explore their own mind in pure solo sections. The band also includes little details that make a big difference in setting them apart from the other groups out there. From the drummers use of muted vibraphone and timpani, to the harmonic backdrop provided by the electronics department, Tim Berne’s ensemble is constantly creating new and interesting sounds. Another important musical device on this album is Counterpoint, which contributes to the ensemble sound and melody of the piece. Counterpoint is a typical classical technique in which a melody and countermelody are played together with no basic chordal backdrop. This happens all over the place on this album and it makes the melody very unique. Instead of having one instrument that the listener can latch onto for melody the band presents many equally important lines that combine in complex ways and it happens on many levels. For example, the piece Lost in Redding begins with a melody played by most of the ensemble countered by the piano bass line and chaotic bass clarinet playing, which is intriguing enough in itself. However, Tim Berne then goes on to manipulate the concept of counterpoint in different ways throughout the album. The same piece includes a section where the pianist plays a melody that is countered by his own bass line and a spacey vibraphone part. It also seems like the pianist is in a constant state of intense counterpoint with himself throughout the piece. Rather than filling in his sound with chords in one hand and melody in the other, Pianist Matt Mitchell maintains contrasting parts in each hand as if he is playing one of Bach’s inventions. The Pianist is one of the more notable players on the album. When the ensemble gets going and every player is collectively improvising, the piece finds some level of steadiness in the lines and chord structures of Matt Mitchell. Although the band avoids falling into traditional time signatures for long periods of time, Mitchell’s playing maintains some sort of meter with his contrapuntal eighth notes, which helps the music drive forwards. It also seems as if the interaction between Mitchell’s hands translates to his interaction with the other soloists. The interaction between him and Berne on Small World in a Small Town is particularly notable. Overall, You’ve Been Watching Me was a fantastic listen and it really adds to the modern jazz sound in a new and unique way.